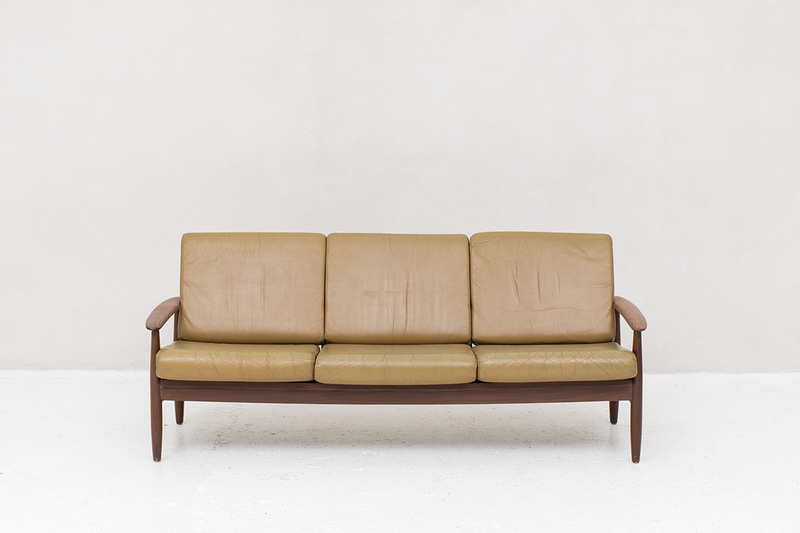 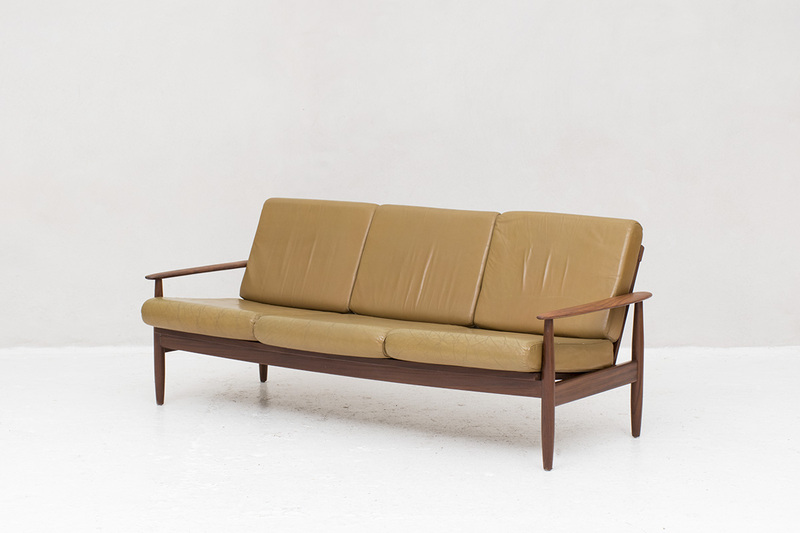 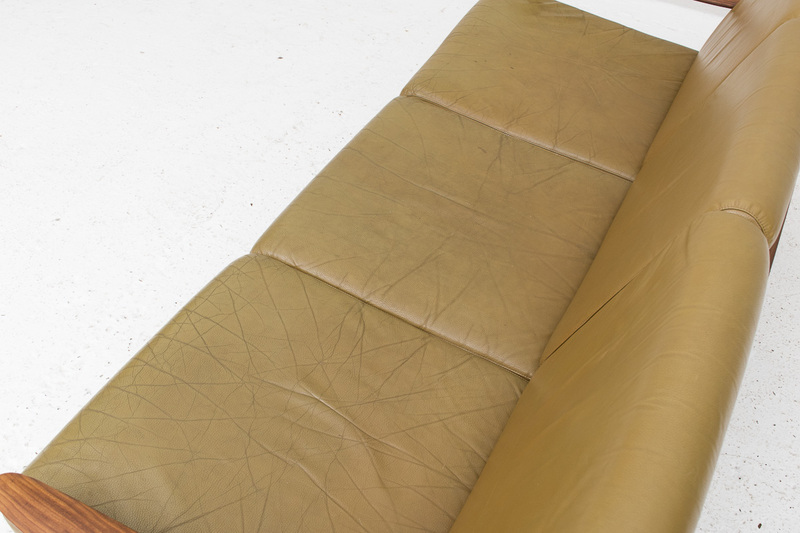 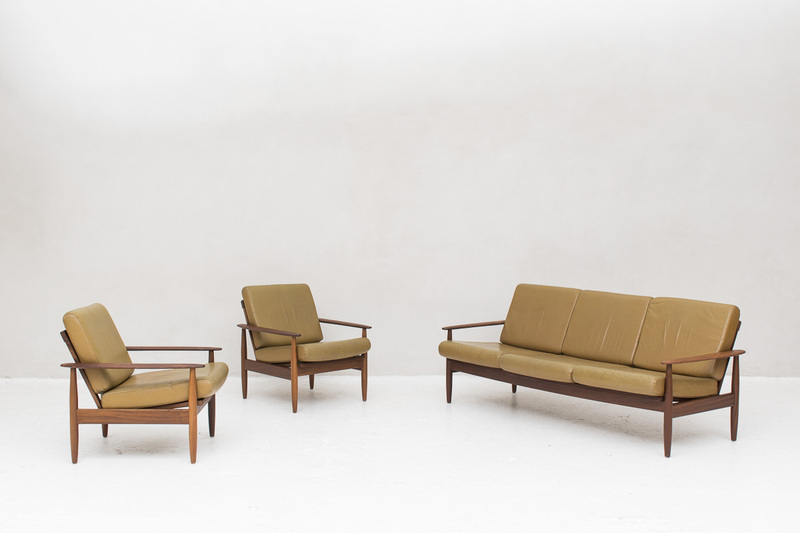 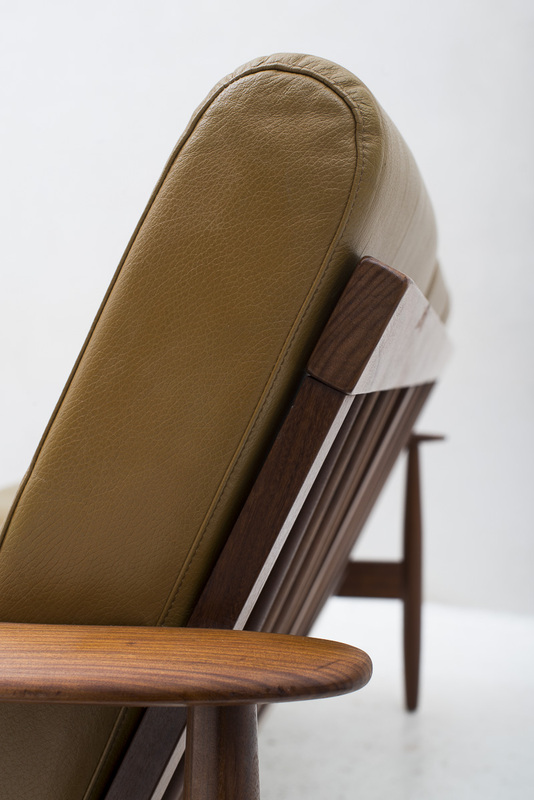 3-seater sofa produced in Denmark around 1960. 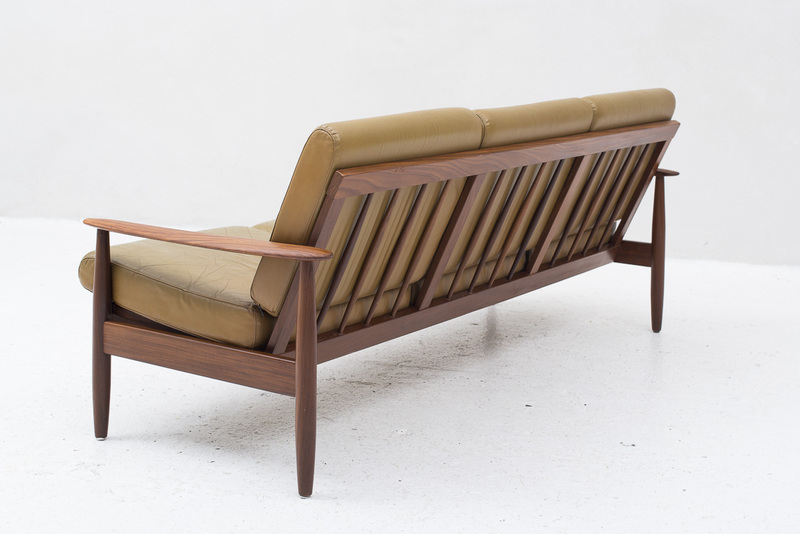 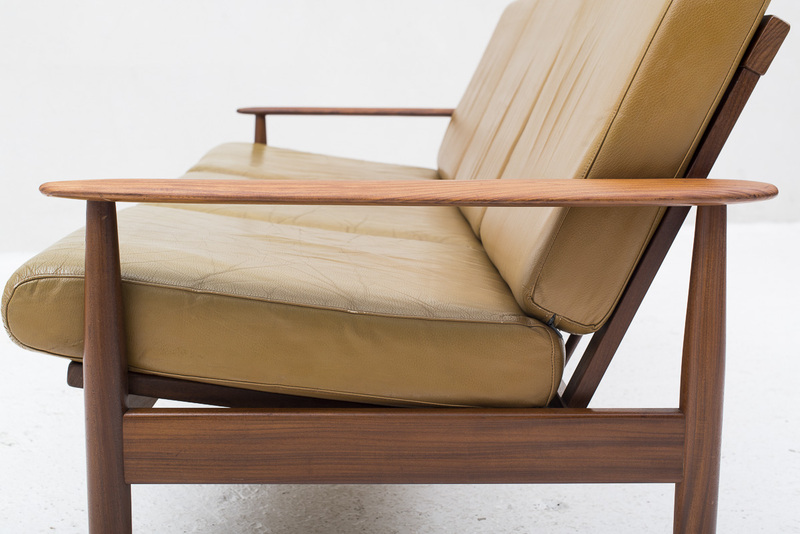 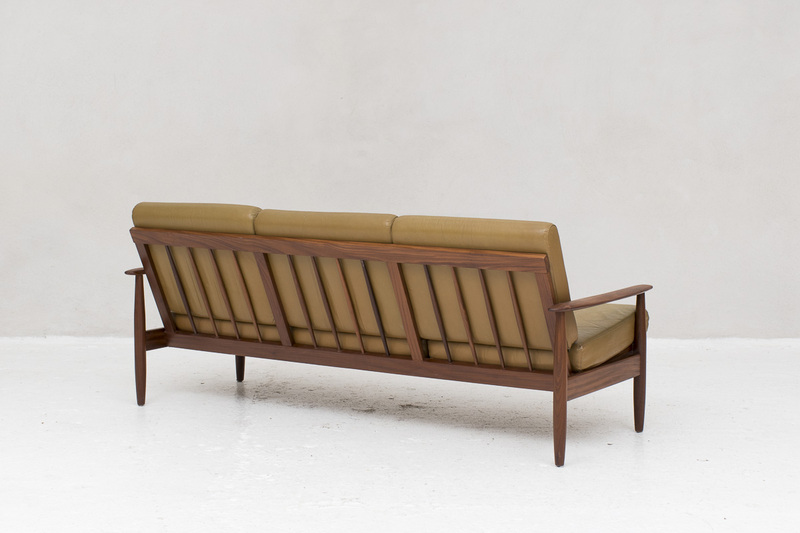 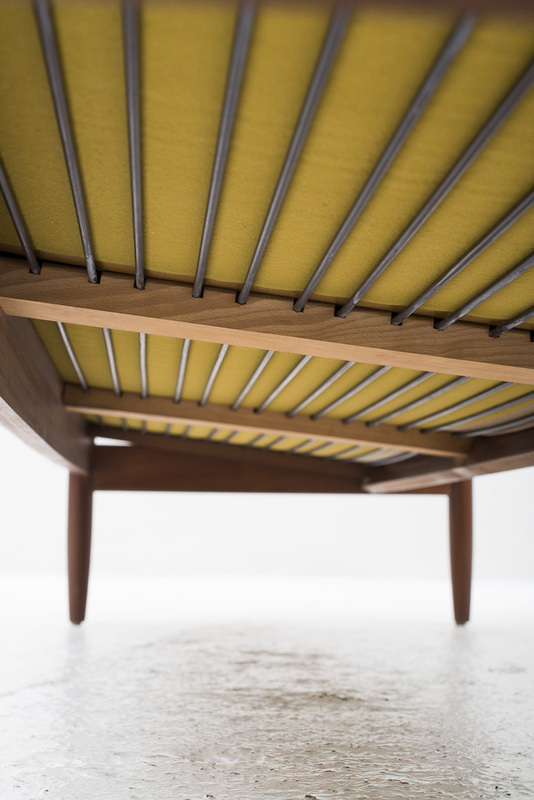 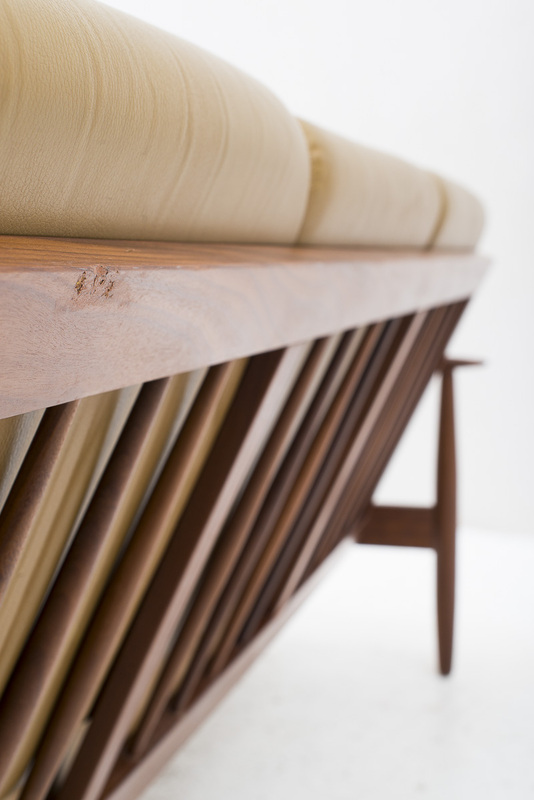 Solid teak frame with brown leather cushions. 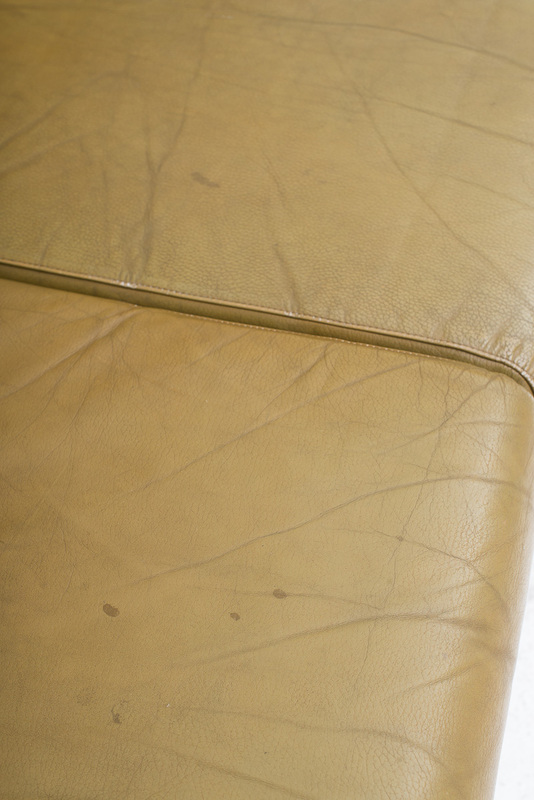 Some wear as shown in the pictures. 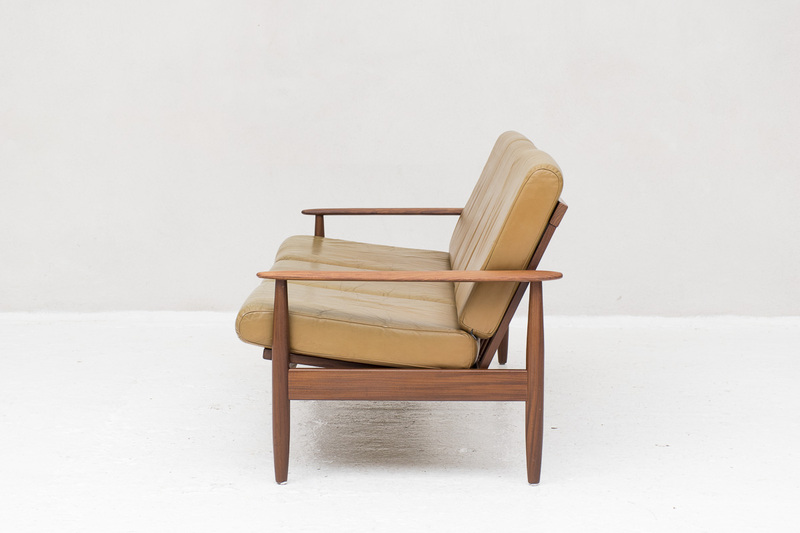 We have a matching set easy chair in stock.